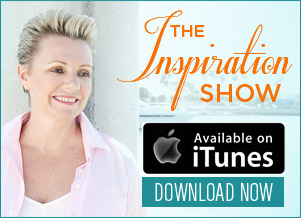 Are you ready for the most otherworldly episode of The Inspiration Show? Today’s guest is going to blow your mind! You may not have heard of her but something tells me you’ll remember her from now on. Karen Noe is a renowned psychic medium, spiritual counselor, and healer with a two-year waiting list - and she channels Dr. Wayne Dyer! If you’re going through a rough time of grief or struggle or have ever wanted a sign from a higher consciousness, then today’s episode can change your life. NL: Hi everyone. My name is Natalie Ledwell and this is The Inspiration Show. 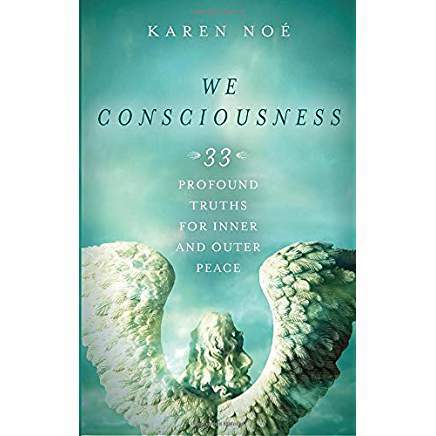 Today on the show, I have a very special guest who’s written a new book called “We Consciousness: 33 Profound Truths For Inner And Outer Peace.” This is quite an interesting book and subject knowledge because the person we are going to be talking to today actually is able to communicate and commune with angels. So I’m really looking forward to getting in to the conversation today. But before I introduce my special guest, I just want to remind you that once the show is over, don’t forget to click the link below this video so that you can download the free ebook version of my bestselling book Never In Your Wildest Dreams. So please let me introduce my special guest, Karen Noe. Is it No, No-a? NL: Noe. Karen Noe. Pleasure to have you today. NL: Yeah, wonderful. So yes, you have written a new book called “We Consciousness”. So tell us a little bit about your background and how you got into doing, writing, this book and you know, and the communication that you have. KN: Okay. Well, I am a psychic medium and I had a spiritual experience about 25 years ago. I was going through a difficult time in my life and at that time I just sat at the edge of my bed and I yelled to God. And I said, am I going to be okay? And with that I saw a light that came towards me from the other side of the room and my first response was if you are not of God please leave. But the more I said that, the more it kept coming towards me and eventually enveloped me. At that time I heard an audible voice that said lucha luchina bella lucha luchina, I don’t know if you’re Italian but it means light little light beautiful little light. I’ve since learned that was St. Francis of Assisi who’s been guiding me and protecting me ever since. And for those who follow me on facebook or have read any of my books, you’ll see my St. Francis connection about the animals or about peace and all of that. And that led me to connect with Dr. Wayne Dyer. NL: Right. Now this is what I was going to talk to you about. So you were able to channel or be able to communicate with Wayne on the other side? Tell us a little bit about how that came… (inaudible). KN: Reluctantly, reluctantly. First of all, I do clients, I’m booked for 2 years ahead of time so that you know my background. So I was a huge fan of Dr. Dyer and I did not know him personally. Through, I don’t know, synchronistic events you may call it, brought his family to me. It started with, I was supposed to be speaking for my publisher Hay House about life after death in Orlando, Florida, right after Dr. Dyer passed. And I was sitting on the author bus, they had the authors of Wayne Dyer’s family going from the hotel over to the conference center where they were going to be doing the tribute and there was one seat available and it happens to be next to me. And in walked Serena Dyer, one of his daughters, and sat down next to me and we started to talk and got connected. And we only have 15 minutes so I’ll get very, just down to the nitty-gritty, we just talked then, eventually her and 2 of her sisters and her mom flew in from Florida to New Jersey to see me and he came through with various personal messages for each of them and in the “We Consciousness” they added that in the appendix because they are very personal messages, I don’t feel free to share that with the world because it was so personal but subsequently, he came through on the first christ.., new year’s eve after he started to come through and he said he was going to be joining forces as he spoke he said to me with the group consciousness called the We Guides which includes St. Francis of Assisi, ascended masters, angels, and deceased loved ones, and they were going to be joining together and it would be hard to differentiate him from every one else when he comes through in that way and they gave me the 33 concepts for inner and outer peace. And it is a long story but I made it very short. NL: No, I know. 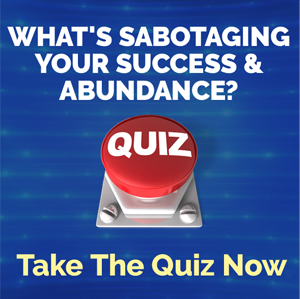 But it’s amazing because you know we hear about these collective consciousnesses that other people are able to connect with you know like the most famous one is Esther Hicks being able to (inaudible) with Abraham. And you know there’s several others that I know that connect you know, that connected with different collective consciousnesses. So is this part of the same consciousnesses or is this a different collective altogether? KN: It, probably are all the same. You know, but different messages for each person. You know, Esther Hicks is talking about how thoughts and feelings create our reality whereas this, they are speaking to me about peace, creating peace on Earth. So yes, it’s pretty much the same. And the most important concept of the We Consciousness is that we are all one, everyone of us but it’s hard to understand that when we are in a physical body. But everything we do to one’s self or another, it affects the whole. And that pretty much sums it all up. NL: Right. And you know, what’s so interesting, before we go into more information about Dr. Wayne Dyer, I think that what he’s experiencing as his transition to the other side is exactly what he, I think, was expecting. Like you know, he talked a lot about this when he was here. So it looks like he’s really fulfilling what it was he truly believed was going to be his transition. KN: Yes. And he’s well excited to talk about the afterlife and so excited to talk about the We Consciousness and all of that. So it’s truly, truly amazing. And by the way, he’s not just coming to me, he’s coming to many people. All you need to do is ask him and he’ll be there for you. NL: Yeah. Well that’s the thing right. Like do we all have this ability to be able to tap in to the other side and be open to this insight being able to come through us? KN: Absolutely. It’s not just Karen Noe. KN: You know, because we’re on the same vibration, I was asking how may I serve? That’s what he used to say, I love St. Francis and all of that. So it just so happened that I heard him. You know, most people expect to see an apparition of their loved one or an angel or to hear an audible voice but how they come to us is often is as thoughts. You know, they speak to us telepathically so we have to learn how to do that, how to understand how they’re coming to us. How to empty our thoughts so that we can hear theirs. If our thoughts are going a mile a minute we can’t hear them. NL: Exactly right. So tell me about the 33 concepts? Now we’re talking about world peace here but how did, when did they come to you? And how do we, give us an idea of what some of these concepts are. KN: It started happening when I first started connecting with this family. At first, he was so excited to talk about the afterlife and the We Consciousness and when his family came to see me, he said to them, I’m so excited to talk about the We Consciousness. Would you like to hear about that or personal messages? Of course they said personal messages. They wanted to know if it was really him. So he did. 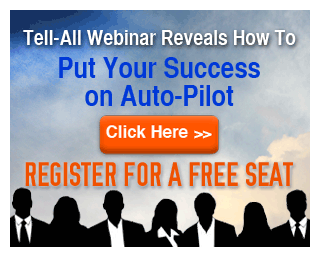 He told them all personal messages which showed you that it truly was Wayne Dyer speaking. And then when I used to go for walks with my dog, I’d be you know, walking and you’ll be downloading information about the we concept, you know, 33 concepts. So I took my cellphone with me as I was going for a walk and I would just tape record it so I didn’t miss it. It took a long time but I eventually got all 33. NL: Right. So with the book are you talking just about the concepts or how we can also embody them as well? KN: How we can embody them, how it begins with peace within ourselves first. Because often times we put everybody else first and we put, myself included, I do that, that I’m just as important as everyone else and we have to realize that we are part of the We Consciousness. You know, we’re not less, we’re not more and so forth. As a matter of fact, when I first started communicating with Wayne at first, I didn’t know it was really him. After that tribute to Dr. Dyer, I decided not to go on that bus because I didn’t feel I was significant enough because all my favorite authors were on that bus as well as Wayne Dyer’s family. So I decided to walk back to the hotel room. And I’m saying I’m so insignificant, I’m so insignificant, I was saying this in my mind and that’s when I heard him for the first time and he said Get out of your own way, get out of your own way. And that’s what we all have to do. Get out of our own way and understand we are significant. NL: Absolutely. You know, and we all play a part, you know, in our way with our personality in the lives that we have, we can always be an example for those people around us. So you talk a little about self-love. So tell me a little bit more about of what your definition of it, of that is and how we get to that place you know and maintain that? KN: I’m still, I’m a work in progress. (laughter) I’ll tell you that. KN: Oh my gosh. We have to understand that we’re just as important as everyone else and we can’t give off ourselves if we don’t give up to our self. You know, we can’t give to others if we don’t give to ourselves. I don’t know about you but I feel depleted many times because I just keep giving and giving and giving and giving, we cannot do that. We have to understand that we are just as important as everybody else is. And you wake up in the morning and I used to say how may I serve. But now I say, how may I serve myself and others. KN: And that’s why I love life right now, you know, to understand that I need to serve myself as well. NL: Right. That’s right. And so how do you do that? Like what does it look like when you’re someone who wants to be that conduit or wants to be you know, to serve a purpose or to contribute. You know, how do you show self love to yourself? KN: I have to set limits, boundaries sometimes, you know, so many people wants things off me, you know, I’m booked for 2, as I said before, 2 years ahead of time and I work weekends and so forth. I couldn’t give anymore. So I have to say no. And I’m not hurting anybody, I’m actually, I’m hurting myself you know, at that time. So I had to learn to say no. And with love and then eventually they will come, they could come and they could wait a little bit and so forth. So you have to learn to put yourself up there as well. KN: No explanations needed. You just have to say, I cannot, I’m sorry I don’t come in on the weekends anymore or something like that. NL: Yeah, and you know what, and self-love is really this, if we’re in that place, we’re in this, we’re resonating in a higher frequency right, so how do we get to that frequency of self love? KN: That is such a good question. We have to understand that we all have a god within us. You want to call him god or he or she, whatever you want to call, source, energy, divine. We’re divine beings of love and light and the only difference between miracle workers and those who are not, the miracle workers realize it. Right so we have to make sure we’re vibrating at the same level that the god within us is vibrating which is only love. We need to learn how to forgive others. Treat people with compassion, treat ourselves with compassion. Go out in nature, see through the eyes of others, see where they’re coming from, you may not understand where they’re coming from but to try to understand them better by understanding through their eyes because after we pass away, we go through a life review where we’re able to see and feel how we’ve affected everybody and why is that? We feel as if we’re the other person. The reason is because we are the other person. We are all one and because our bodies are not separating us from each other we can actually feel that connection. So tell people to try to see through each others eyes right now before it’s too late. NL: Yeah. The other thing is that you know, so when you’re obviously able to connect with these collective consciousness, we talked a little bit about how you are a medium, so what kind of other (inaudible) do you have connection with that you know, that really helps to reinforce this message as well? KN: What kind of celestial beings? Because you just froze. KN: Celestial beings would include God, the angels, ascended masters, our guardian angels, archangels, and they are all different but you connect with them in the same way. Deceased loved ones. And they come through in different ways. What I would say is to ask everyone that’s listening to this right now can do the same thing. I would tell you or anyone else to ask them to give you a without a doubt sign so that you know without a doubt that they’re with you and then be patient and wait and the sign will come when you least expect it. It will come in many ways. You know, it could come as the numbers, same numbers keep coming up for you, 111, 222, a car will cut you off and it’ll be you’re loved one’s name or their song will come on when you need to hear it most or a bird, a lady bug, a butterfly, a dragonfly will land on you or so forth. Something that the animal normally wouldn’t do. So that will be just confirming that they are with us and you just have to be patient. It will happen. These signs do occur not just for Karen Noe but for everybody. NL: (laughter) I know, I have the recurring number thing happening every single day especially since I’ve started working on my children’s program and I just a bought a new condo and hummingbirds are like my, actually I got a little hummingbird tattoo last year, and as I’m looking at this one condo which I’m like, as soon as I walked in I’m like This is it! I had a little hummingbird on the balcony, I’m like (inaudible) validation. KN: Without a doubt sign for sure. NL: Yeah. So is there any particular message that Dr. Dyer has been trying to get through to humanity right now you know, through you, is there something specific that he really wants us all to know? KN: Yes, that we each can make a difference. We don’t have to wait for someone in authority, someone in power and politics, president, whatever, we can make a difference. We have to just remember who we are, understand that we have the divine within us so we can create miracles in our lives and in the world as well. We have to understand whatever we do to one self or another, it affects the whole, and to raise the vibration of the planet each one of us can do it and create peace in our lives and in the world as well. NL: Well, what a beautiful note to end our interview off today Karen. Thank you so much for joining me. It’s been such a pleasure chatting to you. So if people want to connect with you and get their hands on the book, where can we send them to do that? KN: Well, they could find that on amazon.com, any major book store but if you want to go to my website, it’s karennoe.com, that’s k-a-r-e-n-n-o-e.com. NL: Fantastic. Well thanks again Karen and thank you for being the conduit for this message so that you know the teachings of Dr. Dyer can still live on. And thank you for everything that you do. KN: Thank you very much. Have a great day. NL: Wonderful. Now guys, I encourage you please let’s get the word out. Let’s share this video. You can do that by clicking the facebook and the twitter share buttons on this page. Also make sure that you can click on the banner to the side or the link underneath to go through to Karen’s website so you can download the book and connect with her. And then after all of that is over, don’t forget to click the link below that so you can download the free ebook version of my bestselling book “Never In Your Wildest Dreams”. So until next time, remember to live large, choose courageously, and love without limits. We’ll see you soon.